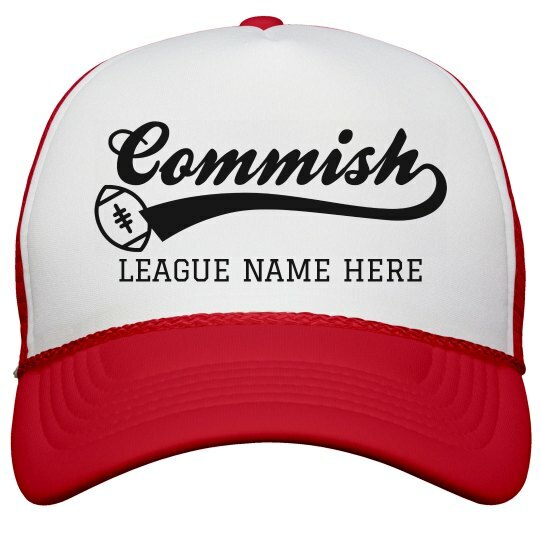 Customize a trendy two tone hat for the commissioner of your league! Add your league's name to this design to give it a custom look and feel. Fantasy football is finally here!